There’s something about being a self-proclaimed “expert” that can sometimes make people think of a used car salesperson. Now, of course, you’re not pushing old metal, but the process of attracting business opportunities is, in fact, sales. You’re selling your expertise and ideas with the intention of getting paid the money you deserve. At the same time, if you’re an entrepreneur, consultant, or business leader in a competitive industry, your skills and ability to deliver results will be questioned. Period. So how do you show that you can be trusted? Look beyond calling yourself an expert and focus on teaching people everything you know. Social media platforms like LinkedIn, Instagram, and Facebook are FLOODED with experts. So how do you get your ideal audience to stop and devour your brand, relate to your ideas, and flock to you? Ignore what your competitors are doing. You have a unique voice. A voice that comes with experience, stories, and lessons that have changed your life—and will change someone else’s life. Only YOU can share this knowledge. Instead of trying to compete with the noise and reach everybody, narrow down your focus. Talk about a specific topic to a specific group of people. Dig as deep as you can and then write about the specific topic that gives you goosebumps every time your message gets into the hands of someone who needs it. Your message is like the wind beneath your wings because it should be aligned with your experience. When it comes to showing your expertise, you need to consistently communicate your value. To walk the walk means that it’s in your blood to help the people you care about succeed. To go above and beyond to be of service. To develop a voice that is memorable and unmistakably yours. Collectively, all these things build your personal brand and show that you’re an expert. 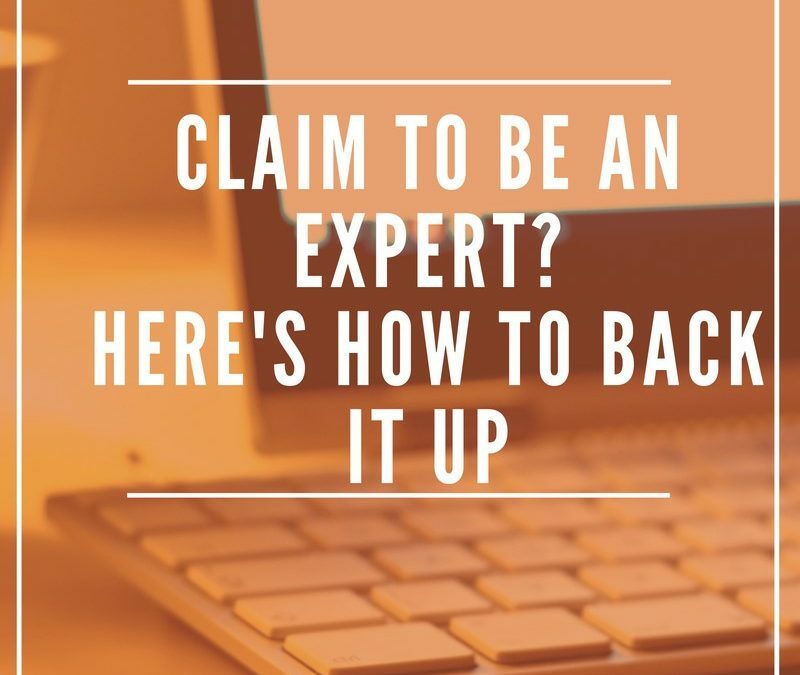 Are you showing your expertise online? Truth be told: If you really want to stand out as an expert, invest the time to build a reputation as someone who always delivers value and inspires action. After all, you never know who’s watching. Marietta Gentles Crawford is a writer, personal brand strategist, and author of "From Nine to Thrive: A Guide to Building Your Personal Brand and Elevating Your Career." With over 15 years' experience climbing through top corporate brands, she helps small businesses and freelancers communicate their brand message and stand out from the crowd.